LANGA TOWNSHIP, South Africa — Faster! I have a traditional African drum between my legs but as soon as my teacher, Mzwandile Zwai, picks up the pace, I lose the beat. Zwai explains that drums in Africa once were once used to send and receive messages—in fact the sequence of beats we are learning is “I want to send a message” and “I’m getting the message.” Today drumming is used in ceremonies—everything from church services to weddings. He shows us the community center—that is where we have our drum lesson and volunteers teach kids the ancient art. 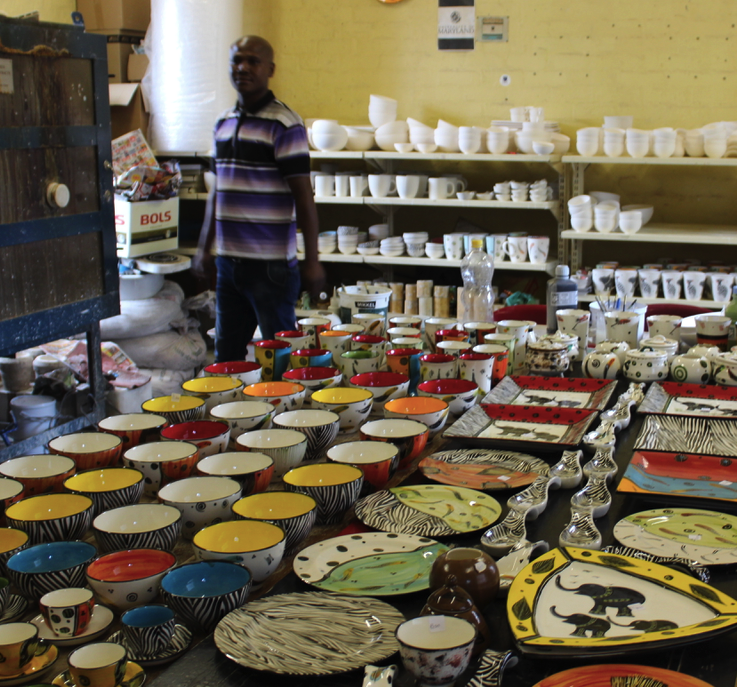 A group of teens are sketching in one room; in another, local women paint pottery to be sold. There is free Wi-Fi as most people here—80 percent unemployed—can’t afford it. There is a space made out of shipping containers—with the help of Long Island University and Georgia Tech, among others—that hosts concerts and a children’s theater. “You try to keep the kids away from trouble after school,” explained Zwai. Abercrombie & Kenthas arranged for Bulelani Dondashe, the guide, to show us this township—and what Nelson Mandela and the other anti-apartheid activists were fighting to give blacks here more opportunities. In fact, the same day (March 21,1960) as the famous Sharpsville Massacre that sparked outrage around the world and spurred the anti-apartheid movement, there was a demonstration here. Four were killed but many more were injured than in Sharpsville. Here is the place to see the ravages of apartheid—and the challenges South Africa still faces to correct the mistakes of the past. We meet barefoot children playing in the sandy dirt outside converted hostels built for migrant workers after World War II. There are no showers or bathtubs; families bathe in small plastic tubs. As many as 50 people share a common space where the older boys sleep at night on mats on the floor. They cook on hot plates in their rooms. 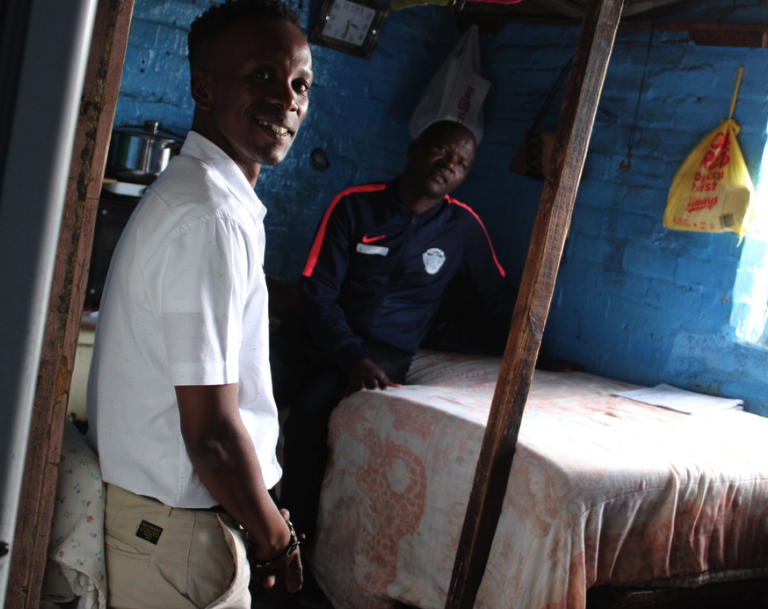 Ndoda Mbombo sits on the smaller than twin-sized bed he shares with his wife and five year old. They sleep head to toe, he explained, as do his seven and 10 year-old on the floor next to them. Belongings are stored in suitcases crammed above the bunks. There are no toys in evidence and certainly no computers. People here can’t afford them. Only a curtain offers each family a modicum of privacy. “You don’t see but you hear everything,” Mbombo says ruefully. He hopes his children’s lives will be better but it will be an uphill struggle. More than half the youngsters from here start university—as the first year is free. But only 20 percent go on and only 5 percent graduate. Jobs even for those who do finish high school and go to university are scarce. Unemployment in South Africa overall hovers at nearly 30 per cent, said Dondashe.